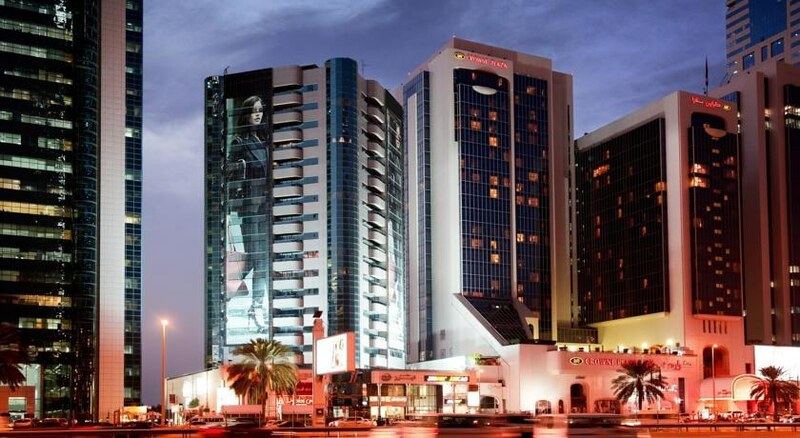 Crowne Plaza Hotel Dubai is located centrally in the business hub of Dubai. Connected by the Dubai Metro, it also offers very good connectivity to the airport. Options for shopping, fine dining and entertainment are easily available in the vicinity. With 300 modern well-furnished rooms and 38 suites and large outdoor pools, this is a top choice of accommodation for those travelling solo, as a couple or a family and looking for a fun-filled city break. Along with warm middle-eastern hospitality, the hotel offers facilities like a la carte restaurants serving a variety of palate, bars, coffee shops swimming pool, sauna and spa. For the fitness freaks, there is a fully equipped Hero’s Health Club for working out. The hotel has free shuttles to Al Mamzar Beach and malls where guests can unwind. 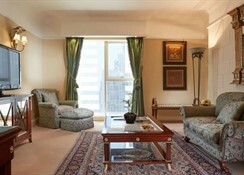 Crowne Plaza Hotel Dubai is located in the central business district of Dubai. There is a Dubai metro station nearby. The property is just 5km away from the Dubai International Airport. The Reef Mall, Al Ghurair Centre, Boracay and Bamboo Lagoon are all located nearby. 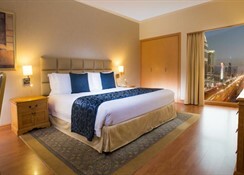 There are 300 plush guestrooms and 38 suites at the Crowne Plaza Hotel Dubai providing comfortable stay after a busy day. The bedrooms are equipped with soft premium bedding and a special Sleep Advantage® system, which includes an aromatherapy kit. The well-furnished air conditioned rooms come with Wi-Fi access, work station with lamp, plasma satellite TVs, iPod docking stations and a safe. 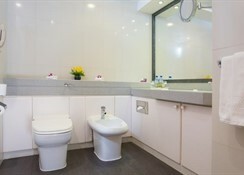 They have en-suite bathrooms with bathrobes, slippers, bathtub and other bath amenities. 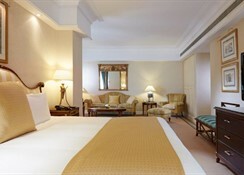 Additionally, the suites have double beds, a sofa, a dining table and chairs plus a dressing table. The restaurants at Crowne Plaza Hotel Dubai are an epicure’s delight as they offer a wide array of Chinese, Italian, Mongolian, Thai, Japanese and Mexican cuisines. Spice Island offers live cooking counter with delectable Asian cuisine and Brioso the little Italian restaurant offers pizza and antipasti. Harry’s is a sports and karaoke bar, while there’s a Tiki bar and Hero’s pool bar as well. The Aquarium Lounge also serves beverages and bakery in a relaxed setting. 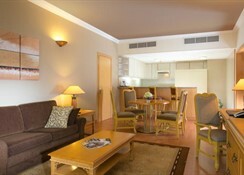 The Crowne Plaza Hotel Dubai has a large swimming pool with sun beds. The hotel also features a Spa that offers therapeutic sauna, steam bath or relaxing spa sessions. For the fitness enthusiasts, there is the Hero’s health club on the fourth floor. 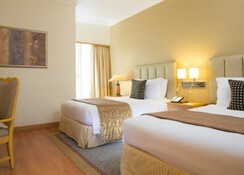 Guests may also explore the nearby the malls, monuments and museums of Dubai, all at walkable distance from the hotel.